3 times higher than the global average . Almost two-thirds of urban settlements with populations greater than five million occur at low elevations in the coastal zone (less than 10 m above mean sea level). 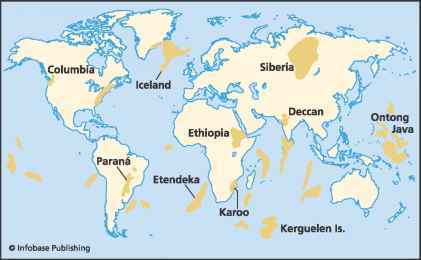 A disproportionate number of the countries with a large share of their population in low elevation coastal zones are small island countries. Most of the human population in this zone, however, resides in large countries with densely populated deltas, and migration of people to coastal regions is widespread . The expansion of human settlements and associated infrastructure (roads, buildings, ports, etc.) has directly altered land cover and land surface processes in large parts of the world's tropical and mid-latitude coastal landscapes. This rapid urbanisation has many consequences; for example, enlargement of natural coastal inlets and dredging of waterways for navigation, port facilities and pipelines exacerbate saltwater intrusion into surface and ground waters. Increasing shoreline retreat and consequent risk of flooding of coastal cities in many parts of the world have been attributed in part to the degradation of coastal ecosystems by human activities, as well as subsidence as already discussed . As a result of this, cities often progressively move to artificial defensive and drainage systems as they develop/expand and their influence on their environs increases. The natural ecosystems within watersheds have been fragmented and the downstream flow of water, sediment and nutrients to the coast disrupted . Land-use change and hydrological modifications have had downstream impacts, in addition to localised influences, including human development on the coast. Hillslope erosion has increased the sediment load reaching the coast; for example, suspended loads in the Huanghe (Yellow) River have increased 2 10 times over the past 2000 a . In contrast, damming and channelisation has greatly reduced the supply of sediments to the coast on other rivers through retention of sediment in dams , and this effect has dominated through the twentieth century [27,28]. The structure and ecological functions of natural systems are altered as a result of population growth, and ecological services provided by coastal systems are often disrupted directly or indirectly by human activities. For example, tropical and subtropical mangrove forests provide goods and services because they accumulate and transform nutrients, support rich ecological communities of fish and crustaceans, attenuate waves and storm surge impacts, and their root systems trap and bind sediments [29,30]. Large-scale conversions of coastal mangrove forests to shrimp aquaculture have occurred during the past three decades along the coastlines of Asia and Central America , and the decline or loss of mangrove forests reduces all of these ecosystem services . Similar reductions of temperate salt marshes and wetlands in deltas are often linked to direct land use change [33,34]. Hence, on those developed coasts that have experienced disproportionately rapid expansion of settlements, urban centres, and tourist resorts, the direct impacts of human activities on the coastal zone are profound, with more widespread indirect effects of human activities.